IT was no surprise that when Spin.ph conducted a survey among UAAP courtside reporters on who they think is the cutest player in the college league, Laura Lehmann had a ready answer: Von Pessumal. The Ateneo gunner, afterall, happens to be Laura's boyfriend. But the former Bb. Pilipinas runner-up was quick to point out Pessumal is more than just a pretty face. “He’s guaponess is just a bonus factor for me. He’s a nice guy talaga, that’s why he’s my boyfriend. He’s humble kahit sikat siya, and he’s very hard working,” the fair-skinned courtside reporter said blushing. The two had been dating for almost a year now, and Lehmann was gracious enough to relate how everything started when Pessumal’s Blue Eagles teammates began teasing the two of them during one of their practices last year. “Ateneo team talaga ang makulit. They were the ones who paired us. Everything was on the court talaga,” she shared. Lehmann admitted the two of them hit it off right away. “I don’t know who had a crush on who first. Siguro same time lang. Alam mo naman ang Ateneo team very makulit, they were just teasing,” she said. Lehmann was only in her first year as a courtside reporter assigned to Ateneo, and Pessumal and the Blue Eagles were on a mission to make it back to the Final Four, when love started to bloom between the two. “Actually during game days, we don’t talk. I just say hi to him, then he goes to the court na. I go to the ABS-CBN room naman,” the lovely beauty queen said. “Then after the game we can make kuwento na. After the game, we both talk about how we felt. I make him kuwento halimbawa kung nagkamali ako sa reporting. And then he also tells me what he thinks like things to improve on. Regular relationship boyfriend/girlfriend naman,” she added. Being in more or less the same field is an advantage since they know each other’s priorities and goals, making it easier for them to handle their relationship. Both are also keeping their eyes on their respective goals. “I think you know, the season, even though Von and I are working together, siyempre we are also focusing on ourselves kasi it’s both our last year. 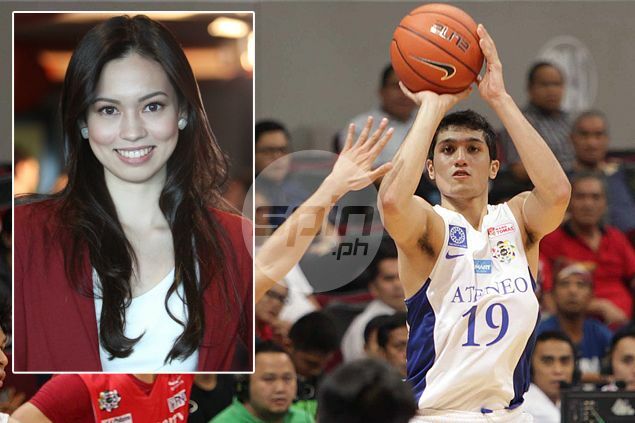 Siya last year sa Ateneo and ako, last year ko as courtside reporter,” Lehmann said. “So for both of us, we’re in the same position. We want to become the person that we want to be professionally and excel in our careers kasi siyempre last na ito. If we don’t do well, wala na, patay na tayo. We just focus on our respective careers and we just support each other,” she added. While their romance takes the backseat for most of the season, Von and Laura understand that it’s the best for both of them. “Although we see each other sa practice every day, he’s doing his work and I’m doing mine. So we go out once or twice a week lang because we understand each other’s work. I know how he loves basketball and he knows how I love reporting,” Lehmann said.